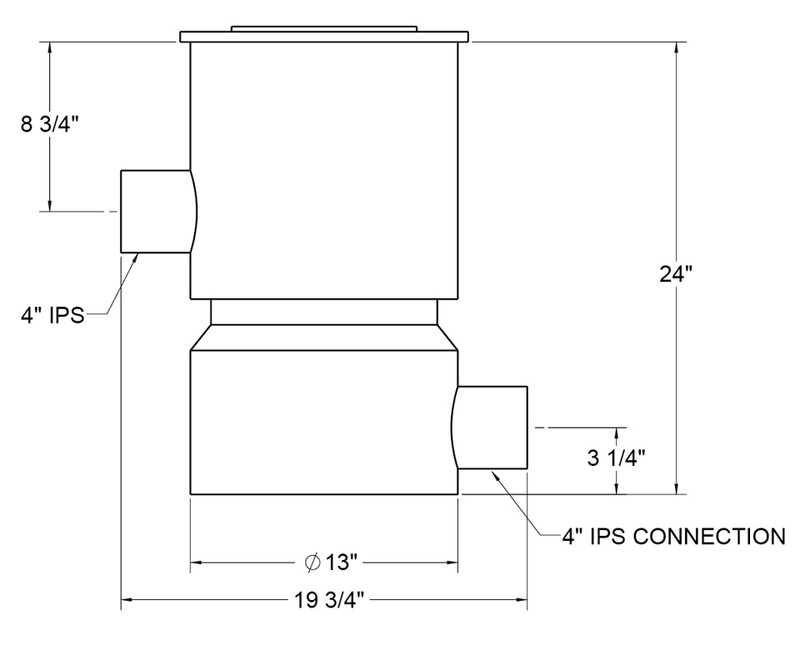 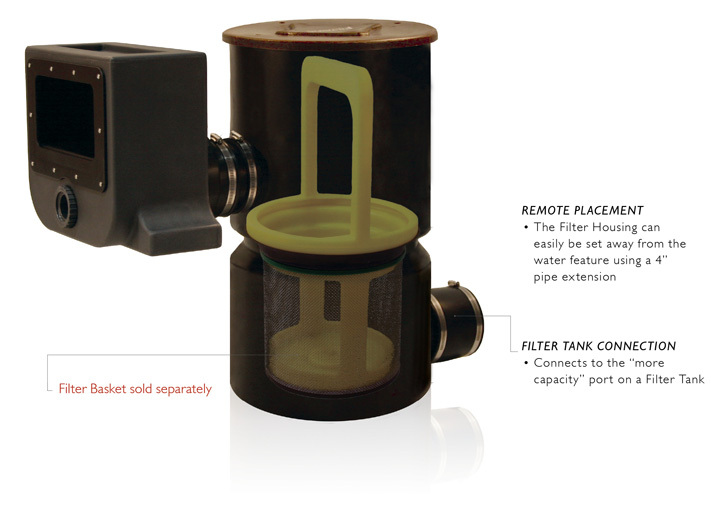 Increase the Filter Tank flow-capacity by utilizing the “more capacity” port(s) on the Filter Tanks to connect additional filtered water. Depending on the Filter Skimmer selected, additional skimming can occur at the bottom of the pond or on the surface. 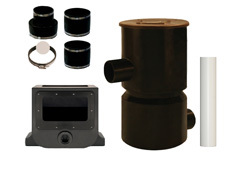 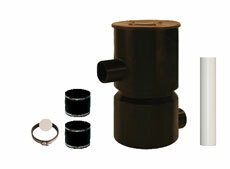 Remote Filter Skimmers allow for enhanced debris skimming by pulling water from different areas of the water feature. 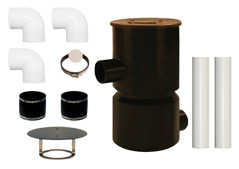 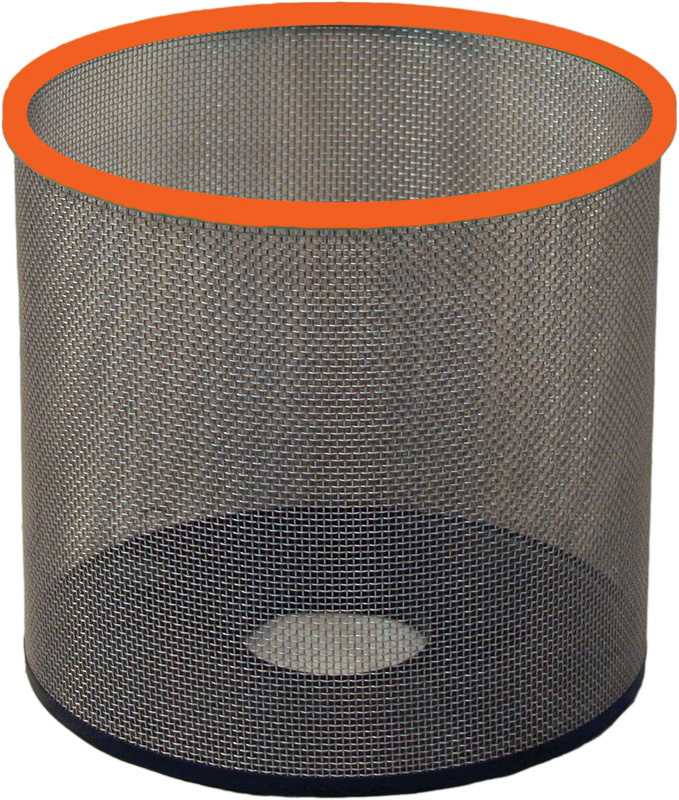 Utilize the bottom port(s) on the Filter Tank to provide additional filtered water flow to the pump chamber. 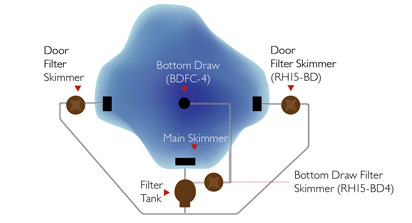 In the diagram to the left, water flows into the Filter Tank through the main skimmer port, two Remote Filter Skimmers and, a Bottom Draw Filter Skimmer. 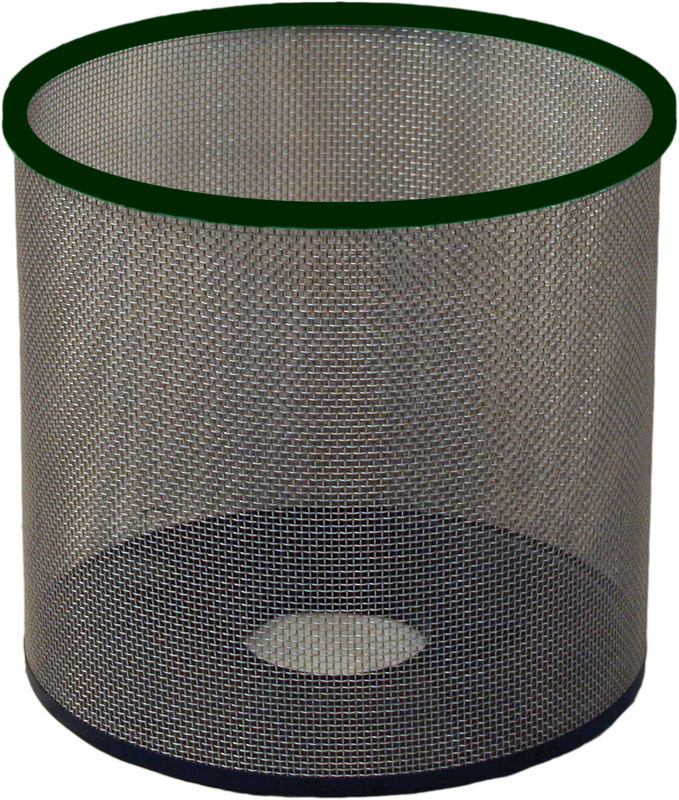 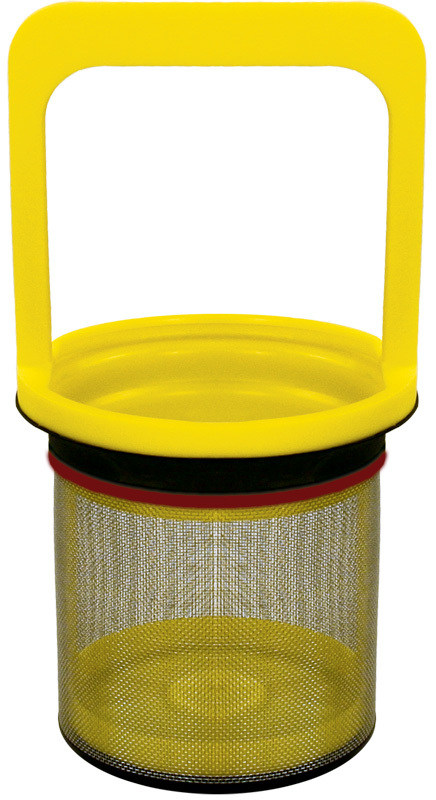 Use the same mesh size in both the Filter Skimmer and the Filter Tank.